The first illustrated and complete book on one of the top marques of the Olympus of automotive history, written in collaboration with the de Tomaso family. 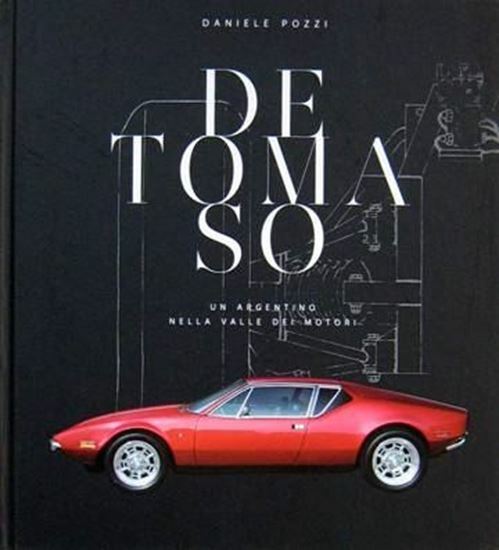 The volume traces the sporting and entrepreneurial story of Alejandro de Tomaso, exhaustively illustrating the characteristics of the models that have made the Automobili De Tomaso famous around the world, such as the Pantera, truly a cult object, especially in the United States. Many different dimensions are interwoven in de Tomaso’s story: the world of the gentlemen-sportsmen who animated the motor-racing competitions in the 1950s-1960s, the genuine and somewhat ‘provincial’ charisma of the artist-mechanics of the Modena area, and the story of the great American industrial dynasties and the intricate developments of the Italian automotive industry. The book is born from the collaboration with the de Tomaso family, who for the first time have opened the private archives of the founder of the auto maker, making available to the public at large the private photographs, the historical images of all the models and the technical drawings, revealing the secrets and the behind-the-scenes episodes of a legendary production. To further enrich the book an ad hoc photographic campaign will be realized. The texts in the volume, rigorous yet accessible to the non-expert, will be entrusted to a scholar of the history of this Italian business, while the technical section will be written by a team of sports car experts chosen together with the de Tomaso family.